Well I’m trying at least. I just find in winter I stick to greys, navy and black really with the odd dash of burgundy if I’m feeling particularly daring. Now they call them cobalt but I’d say they were more cornflower as they’re a bit softer than some of the cobalt jeans I’ve seen around. The cut is also good – decent rise and nice and skinny at the ankles so they fit in boots easily. 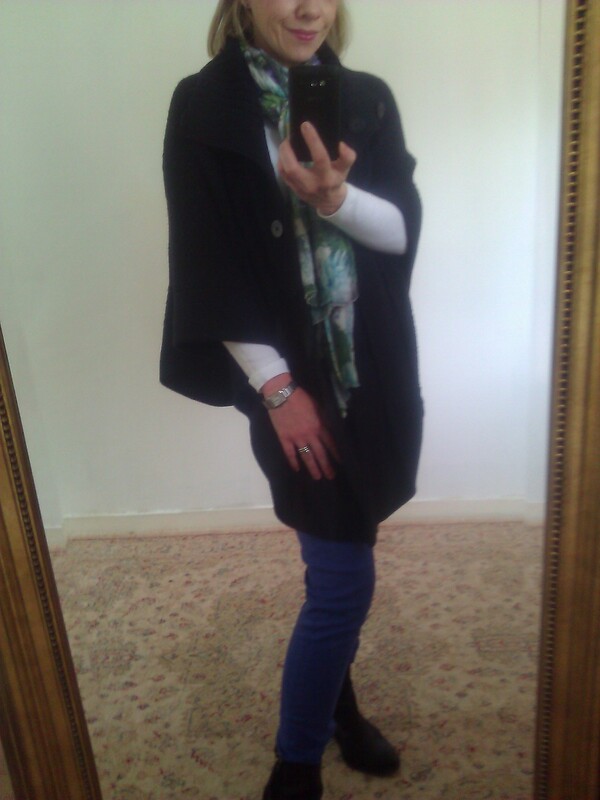 With them I’m wearing ancient gap t-shirt and the ever present White Company poncho and Lily & Lionel scarf. My mother in law was examining my daughter’s poncho yesterday and remarked it would be straight-forward to knit – does anyone know where I could find a pattern for an adult’s one as I rather fancy a cream poncho. 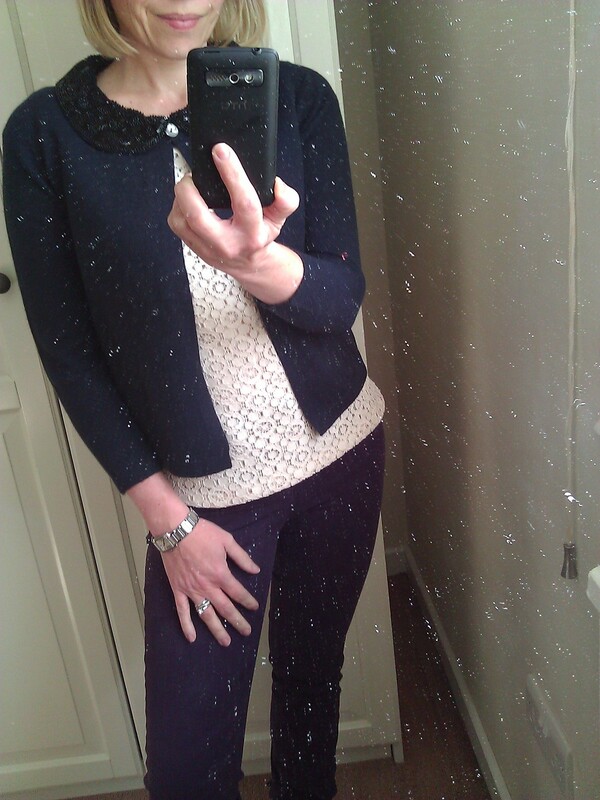 Last year’s aubergine J Brands, Boden lace top and cardigan. The top is huge and its a size 6 but it is pretty so kept it – I ordered the cardigan in the winter preview and rather like it. Eldest child and Grandpa and myself went to see Michael Morpugo yesterday at the Bath Children’s Literature Festival. It was chaired by Jim Naughtie which was an additional treat and was superb. If anyone gets the chance to see him and you have children aged 8+ I’d really recommend it. 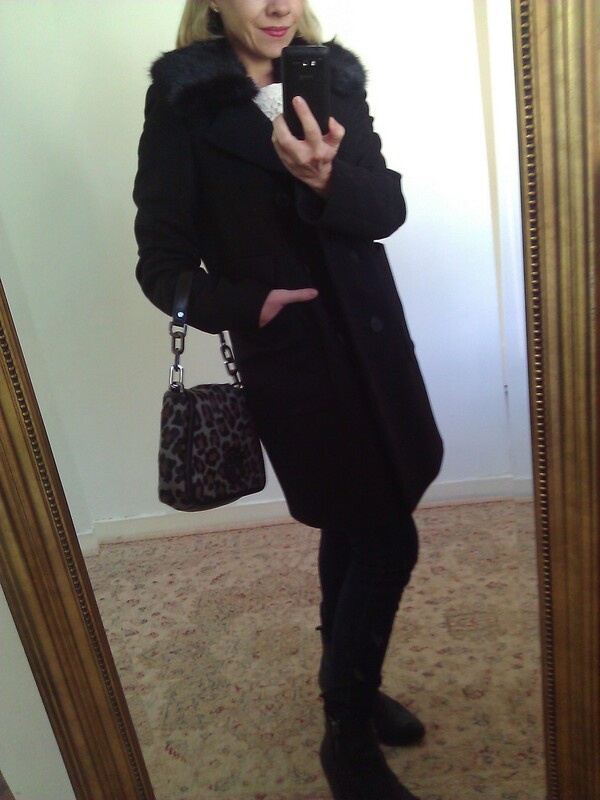 This entry was posted in Children, J Brand, Outfits, The White Company, Tory Burch, whistles and tagged Superdry on October 7, 2012 by TraceyWornOut. As one of my wornout friends asked me today ‘Exactly how many coats do you own?’ and the answer is umm 8 and possibly one more is being considered. Is that a lot? Bearing in mind that includes rain mac and arctic down filled parka? But I’m going with Emma who reckons as we spend probably 8 months of the year in a coat and often its all that people see its worth having some variety. With the River Island skinnies, Pistols, Tory Burch bag and stripey H&M top. 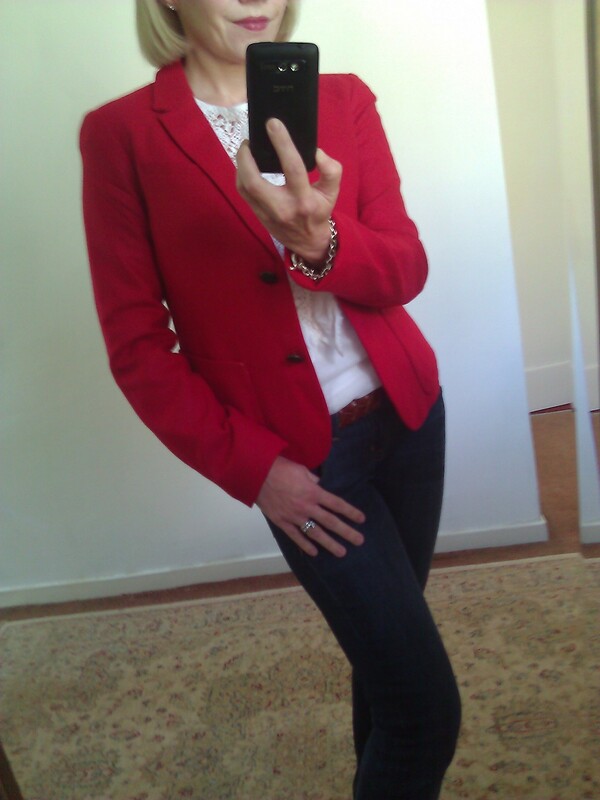 This entry was posted in Outfits, Tory Burch, whistles, Zara on October 3, 2012 by TraceyWornOut. I really do but oh to have a Marant budget. I have loved this blouse since I first saw it and waited with baited breath for it to go online. And there it was on Matches one of my favourite sites but oh dear the price. So am now on the hunt for a Marant inspired blouse. Now if only this Massimo Dutti one had sleeves it would be perfect. But honestly its nearly Winter and I feel the cold. This Massimo one has sleeves but I’m not sure – its just a tad too Lady Di I think. But am hopeful that Massimo Dutti will come up with something in the next few weeks. Which looks lovely online and ticks my Marant-alike boxes but having seen it in real life it looked very snagged even on the hanger. So my sensible head has rejected it. 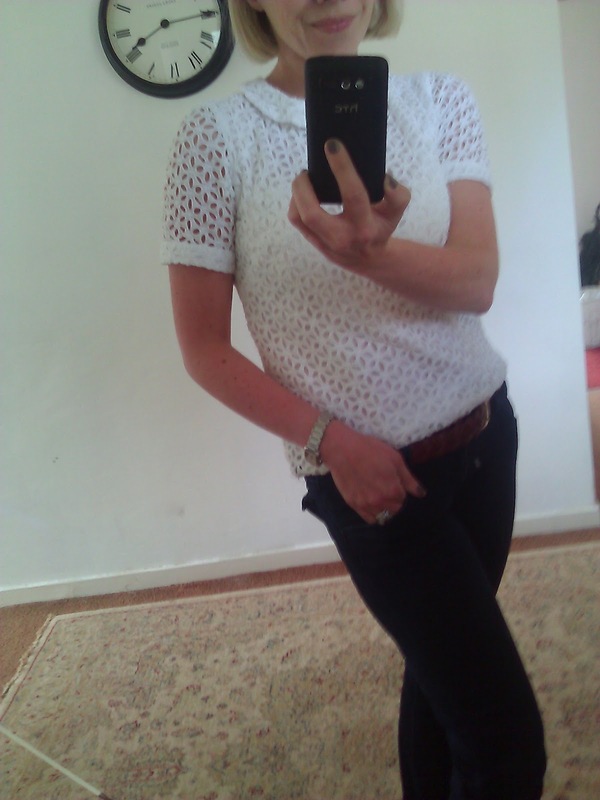 So if anyone sees a lovel cotton embroidered white/ivory blouse on their travels – do please let me know. 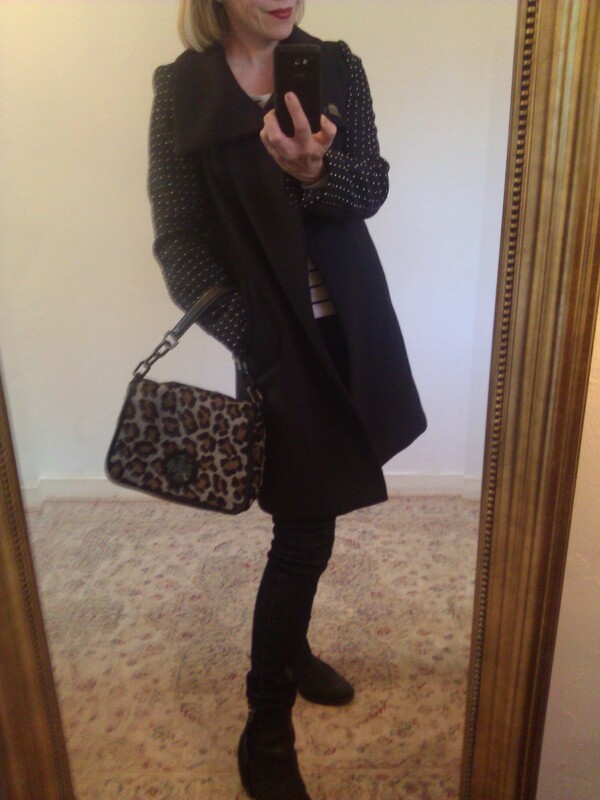 Today I’m wearing Gap breton dress, Whistles coat (old), Tory Burch leopard bag and the Office namesake boots. 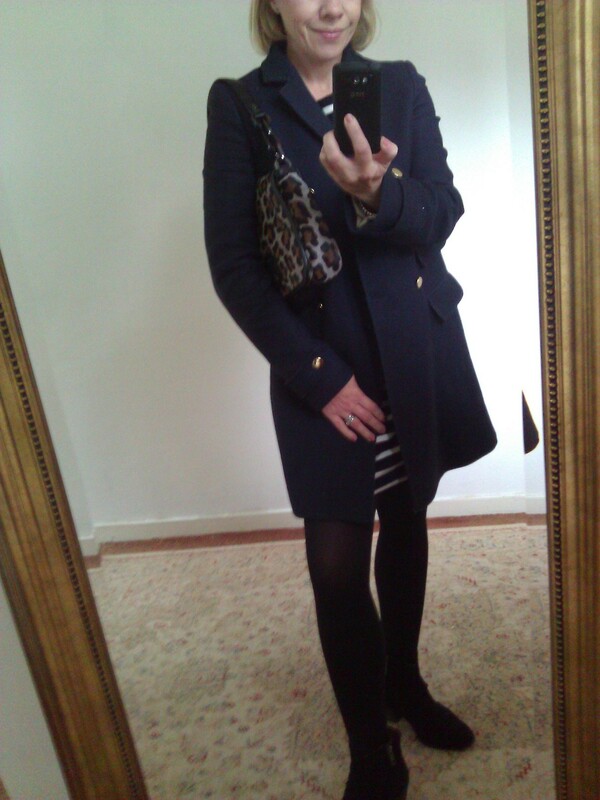 This entry was posted in Isabel Marant, Massimo Dutti, Office, Outfits, Tory Burch, Zara on September 21, 2012 by TraceyWornOut. 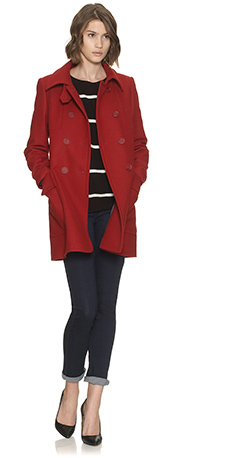 So having just seen Belinda looking gorgeous in her red jacket its clear we’re having a bit of a red moment. I wore a red jumper yesterday and today my new Gap jacket courtesy of their special offer last week which made the jacket very reasonable indeed. Its a great fit on me and the colour is cheery but I definitely prefer it with slightly more worn jeans and now fancy some distressed/ripped ones similar to those Eve wore last week. 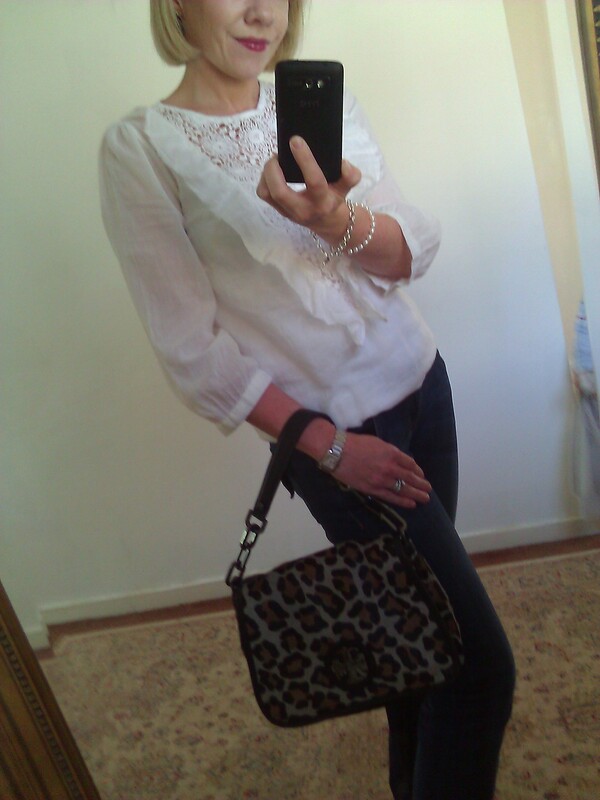 And yes the handbag is indeed the Tory Burch one I mentioned a couple of weeks ago – a birthday present to myself. Am still perusing US Vogue and have become addicted to the Amelia Peabody novels as recommended by Chelsea Clinton – the only problem is that I’m getting slightly annoyed that I don’t have a wonderful manny to care for my children when I fancy a little time off. Oh and if anyone knows how to stop cats bringing mice/voles in the house do please let me know. Was woken at 3am by the cats devouring a vole next to my bed. Delightful. Utterly delightful. This entry was posted in Gap, Hudson, Outfits, Tory Burch and tagged Gap, Hudson, Tory Burch, Virginie Castaway on August 30, 2012 by TraceyWornOut. I do love a Peter Pan collar but am now worried that this rather gamine look is perhaps a tad young for me – you see approaching 40 very very soon has got me all worried about looking mutton. The top is last year’s Whistles, jeans are Hudson baby bootcut and am wearing very high Tory Burch wedges from last year’s NAP sale. See I’m doing well on my shopping ban and utilising my existing wardrobe. For how long though can I resist the lure of all the new A/W delights trickling into the shops . . . This entry was posted in Hudson, Tory Burch, whistles on August 17, 2012 by TraceyWornOut.